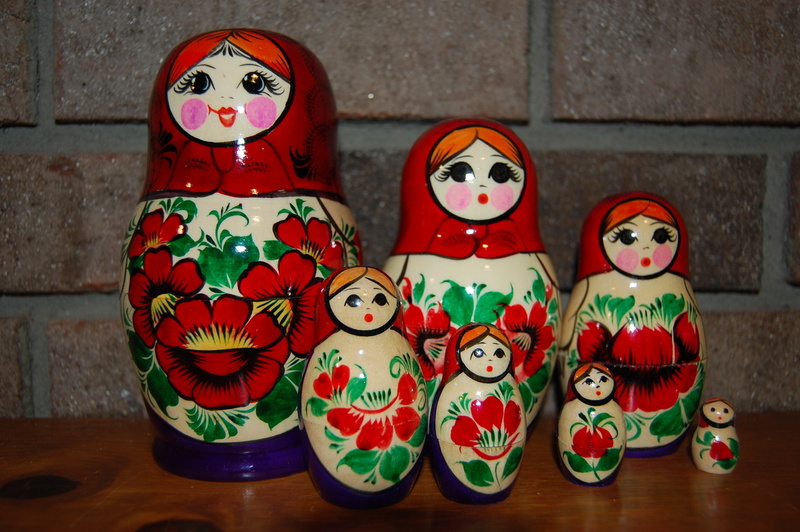 Seven pieces Russian handpainted and handcrafted nesting doll. Stands 6in. tall. The Blue Flowers Doll 5pc./3.3in.